Where did 2012 go? I cannot believe that the holidays are now upon us. And, with that means shopping, parties, school events and trying to check things off our holiday to-do lists. When buying the latest toys to electronics, you want to be sure that you don’t forget to buy batteries good for those holiday gifts. There is nothing worst than getting a new tech toy and the batteries die the first day. Our friends at Energizer want everyone to have the confidence in knowing you will have power when you need it most throughout the holidays and beyond. So make sure when you are shopping that you check out the Energizer® MAX® batteries with Power Seal Technology because these new batteries hold their power for up to 10 years on the shelf! And Energizer has an little surprise for everyone that buys at least two special 4-packs of Energizer® MAX® batteries with Power Seal Technology! Who wants some Toy Cash??? When you are out holiday shopping, make sure you look for the specially-marked AA and AAA 4-packs of Energizer® MAX batteries with Power Seal Technology. Why? Because those special 4-packs contain special Toy Cash codes that can earn you up to an $8 reward for a Prepaid Toy Cash MasterCard® card or funds transferred into your PayPal account. 2. Once you are finished collecting your codes, visit www.energizertoycash.com/ to enter your codes by 4/15/13 at 11:59:59 p.m. PT and follow the instructions posted on-screen to register. 3. Select how you want the Reward redeemed. You can choose between a Prepaid Toy Cash MasterCard® card or funds transferred into your PayPal account (account must be in good standing). Maximum two (2) Rewards per person/household/e-mail address (any combination). Rewards are not redeemable in-store or for cash. Other restrictions apply. See complete Official Terms & Conditions at www.energizer.com/toycash. Must be a legal U.S. resident 18 years of age or older (19 or older if a resident of AL or NE) currently residing in the 50 U.S. or D.C. Void outside the 50 U.S./D.C. & where prohibited, taxed or restricted. Neither MasterCard nor PayPal, Inc. are sponsors or endorsers of this offer. If you don't want to worry about battery life in your electronics and you like getting a like cash back, then make sure to checkout Energizer® MAX® batteries with Power Seal Technology this holiday season. 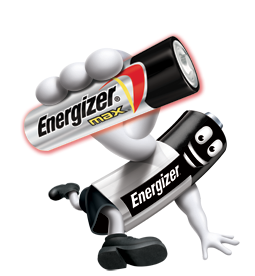 Energizer is offering one (1) lucky FREEISMYLIFE reader a gift pack of two (2) specially marked 4-packs of Energizer MAX batteries with Power Seal Technology containing the special Toy Cash codes. The winner can choose from AA and AAA Energizer MAX batteries - HOLLA to the FREE!!! - The contest ends on Friday, November 30, 2012 at 11:59 am EST. - You can get 1 extra giveaway entry for following FREEISMYLIFE "And the Winning is Easy" Board on Pinterest. - You can get 1 extra giveaway entry for answering the Energizer Holiday question at this link. - You can get 1 extra giveaway entry for tweeting the following message on Twitter "I entered the @Energizer MAX batteries gift pack GIVEAWAY on @FREEISMYLIFE http://ow.ly/fsxP0 "
Random.org has spoken!!! Out of 104 entries, Random.org has picked #5. Congratulations to the winner of the Energizer MAX Batteries Gift Pack with the Toy Cash - Christopher S. of Saline, MI!!!! Disclosure: I received a complementary Energizer MAX batteries with the Power Seal Technology and a gift card. Energizer is also sponsoring the prize for this giveaway. All opinions are my own.